Kevin (James McAvoy) has 23 personalities with each of them vying to get an equal share of controlling the body they live within. Kevin abducts three young girls (Anya Taylor-Joy, Haley Lu Richardson, Jessica Sula) to a windowless, locked up basement. They are told that them being there will be for a reason as a 24th personality known as 'The Beast' look set to come to life. 2015 saw the return to the big screen for M Night Shyamalan after two years, his last film being sci-fi flop 'After Earth' with Will and Jaden Smith. By this point, Shyamalan had become a bit of a laughing stock with the most recent part of his filmography being universally panned. The world of film relentlessly mocked the Indian-American director/writer/producer for his involvement in 'The Happening' and 'The Last Airbender' to name a few. Due to this, the world seemed to forget about Shyamalan's early work or wrote them off as flukes or as a lucky run. Shyamalan shocked the world with 'The Sixth Sense' and 'Unbreakable' as his ability to create a creepy atmosphere combined with great storytelling made for some great movies. The twist ending also became synonymous with his work and became a trademark that he carried with him through his career. 'Split' is no different to this but mot importantly, it shows that Shyamalan is capable of the quality he produced early on. After the success of his early films, Shyamalan was tipped for greatness- even being described as 'The Next Spielberg' in an issue of 'Newsweek' magazine. With such high praise, it may have been easy for it to have gone straight to the former Academy Award nominee's head. It seemingly did just that as his filmography became plagued with bomb after bomb until 2015 where he ended that bad run with the dark comedy 'The Visit'. The film gave hope to fans over the world as maybe, just maybe Shyamalan was getting back to his best form. 'Split' only further cements this as the Shyamalan that we loved looks to have returned. Shyamalan brings us the same feelings as he did in the like of 'The Sixth Sense'- an eery, intriguing story with dark humour sprinkled throughout the film. There are many moments that feel like an early Shyamalan film, especially due to the twist that comes late on in the film. Shyamalan's ability to craft a story where every detail matters are apparent yet again in this film as there are moments where you think something is unnecessary but it then creeps up on you, later on, bringing a startling revelation along with it. The film isn't perfect as there are some of the poorer Shyamalanisms- some clunky lines of dialogue and placing himself in yet another role helpful to the protagonists but neither are nearly as bad as what we've endured from him before. What returns is also a beautifully shot and edited film with Shyamalan working well with cinematographer Mike Gioulakis and editor Luke Franco Ciarrocchi. From the get go, the audience is treated to a wonderful opening credits scene- split into 23 for each of the personalities in the film - as the cast members and directors names come up in bold white block text. The main story takes place mainly in one room and the camera work creates a true claustrophobic feeling as you feel trapped within the confines of this small area. Quite similar to last year's 'Room', on a slightly bigger scale to similar effect. 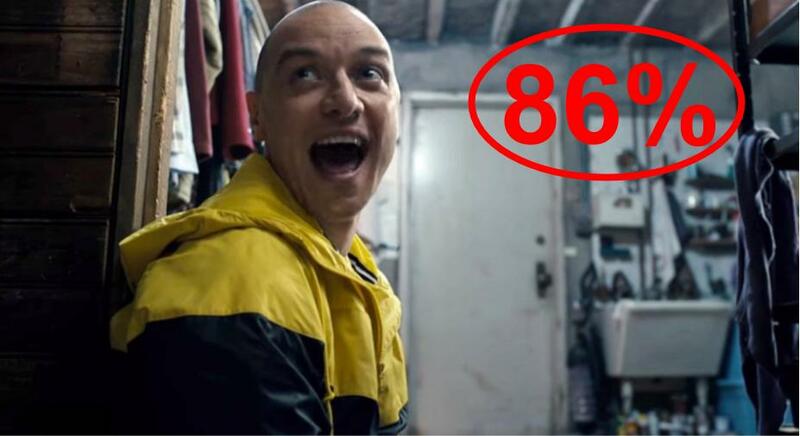 James McAvoy gives a career best performance in 'Split' has is given the opportunity to showcase all areas of his acting range. As Kevin who suffers from DID (Dissociative Identity Disorder), he has many different personalities, all different to one another. McAvoy bounces between Barrie; a camp fashion designer, Patricia; a well-spoken British woman and Hedwig; a nine-year-old child to name a few. McAvoy excels in a role that would be an actors dream as he shows hi chops in comedy, drama and horror, and all to a very high standard. It's a real shame that the Scotsman isn't getting any nominations this award season as he fully deserves so. It's very harsh that he is being shunned due to the type of film this is as some of the nominees won't be half as good as McAvoy was in 'Split'. Anya Taylor-Joy cements herself as one of Hollywood's best young talents in her role as Casey, one of the kidnapped girls who has a cool head about her despite what is going on. The character is written extremely well, giving her a very dark past - the most sickening revelation of the whole film - which allows Taylor-Joy to show off her acting range. Taylor-Joy has been a revelation since bursting onto the scene with 2016's 'The Witch'. If the young actress continues making great choices with her roles and continues performing like she is, we may be looking at the next big thing. Taylor-Joy is accompanied by Haley Lu Richardson and Jessica Sula who lend a helping hand in showing the torture and torment from McAvoy's characters. Acting veteran Betty Buckley adds an interesting character as Kevin's therapist who specialises in those who suffer from DID. Buckley brings a calm performance that allows the audience to understand just what the condition is and how it is allowing Kevin to do such things. Again, the character benefits from some strong screenwriting from Shyamalan. 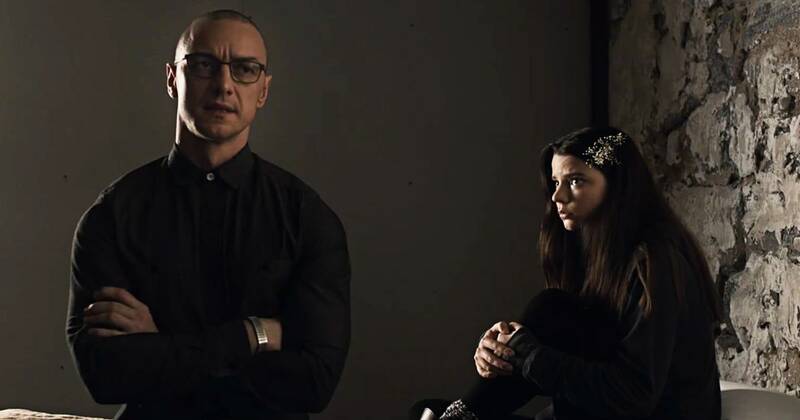 'Split' is a great return to form for Shyamalan. He really deserves credit for his work in this film as he has gone back to his roots and meticulously planned out and executed an extremely clever story. This modern exploitation film is deeply layered and more is as everything is loosely connected, creating something that we've missed from Shyamalan. A tense thriller throughout with excellent performances, 'Split' is a great watch with plenty to get out of. So have you seen 'Split'? If so, what did you think of the film? I hope that this review was useful for if you were planning on seeing the movie or not. Once again, thank you for taking the time to read my review, it is much appreciated!